The Life and Work of Buddhaghosa is the biography of Buddhaghosa a 5th-century Indian Theravadin Buddhist commentator and scholar. Buddhaghosa’s best-known work is the Visuddhimagga, or Path of Purification, a comprehensive summary and analysis of the Theravada understanding of the Buddha’s path to liberation. 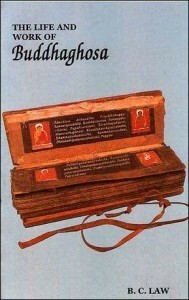 The interpretations provided by Buddhaghosa have constituted the orthodox understanding of Theravada scriptures since at least the 12th century CE. Buddhaghosa is recognized by both Western scholars and Theravadins as the most important commentator of the Theravada way. Biography of Buddhaghosa a 5th-century Indian Theravadin Buddhist commentator and scholar, author of Visuddhimagga.